Every day, over 3,000 abortions take place across our nation, hurting millions of women for a lifetime. We believe women who are facing an unexpected or unsupported pregnancy deserve our help and support with whatever they might need to choose life for their child. Unfortunately, nearly 1/5 of all US abortions occur in CA, many even paid for with our tax dollars. “Californians for Life” are diverse, ordinary people who recognize abortion as the most important Social Justice issue of our generation and are therefore, dedicated to working together with collaboration and synergy to end abortion in our state. Recognizing the 47th year of legalized abortion in our state, in June of 2014, over one hundred of the most influential pro-life leaders in our state gathered in Sacramento for the “California Pro-Life Leadership Summit”. We were joined by eleven national pro-life leaders from organizations such as Students for Life, Americans United for Life, Alliance Defending Freedom, 40 Days for Life, and Heartbeat International for two days of professionally facilitated Strategic Planning. Eight statewide workgroups were formed, with teams throughout the state developed. Through education, science, and reason, Californians for Life recognize the humanity of the child in the womb and seek to help women so that ending the life of our children through abortion becomes unthinkable. We are a Coalition of 40 Days for Life, Students for Life, Latinos for Life, Pregnancy Resource Centers and Pro-Life Medical Clinics, educators, pro-life legislative advocates, Alliance for Brown and Black Advocates, Survivors of the Abortion Holocaust, churches, business owners, activists, technology experts, young and old, of all ethnicities, united together to end abortion in California. • In California, 802,400 women of reproductive age became pregnant in 2011. 63% of these pregnancies resulted in live births and 23% in induced abortions. • In 2011, there were 512 abortionists and 160 abortion clinics in California. This represents a 2% decline since 2008. Since 2011, abortion clinics have continued to close at a record pace, including here in California. 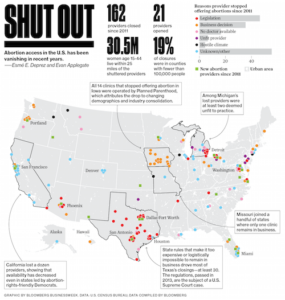 Bloomberg Business Report explains why abortion businesses are closing even though California does not have waiting periods, has no parental involvement and our state publicly funds abortions at taxpayer expense. 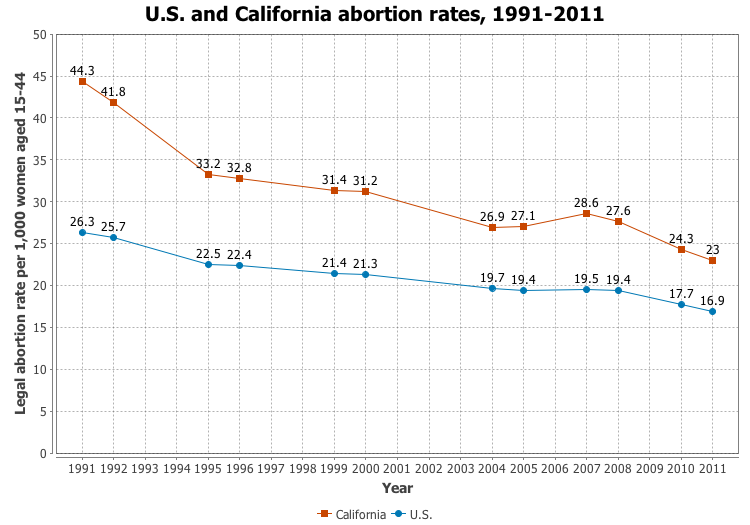 Therefore, our abortion rate is higher than the national average and California accounts for more abortions than any other state, but abortion rates are declining. More Californians are recognizing the humanity of the child in the womb and choosing life, rather than abortion. The number of women seeking abortions in California has fallen to its lowest level in decades, mirroring a national decline that has left the U.S. abortion rate at its lowest mark since abortion was legalized by the Roe v Wade Supreme Court decision 1973, according to a study published in the Sacramento Bee. About 23 of every 1,000 women of child-bearing age had an abortion in California in 2011, down from 44 in 1991. Nationally, about 17 of every 1,000 women of child-bearing age had an abortion in 2011, compared to about 26 in 1991. In 1973, the year of the Supreme Court decision Roe vs. Wade, the national abortion rate was 16.3 per 1,000 women. Are you interested in getting more information about any of the Statewide Workgroups? Please send us any comments, questions, or suggestions.